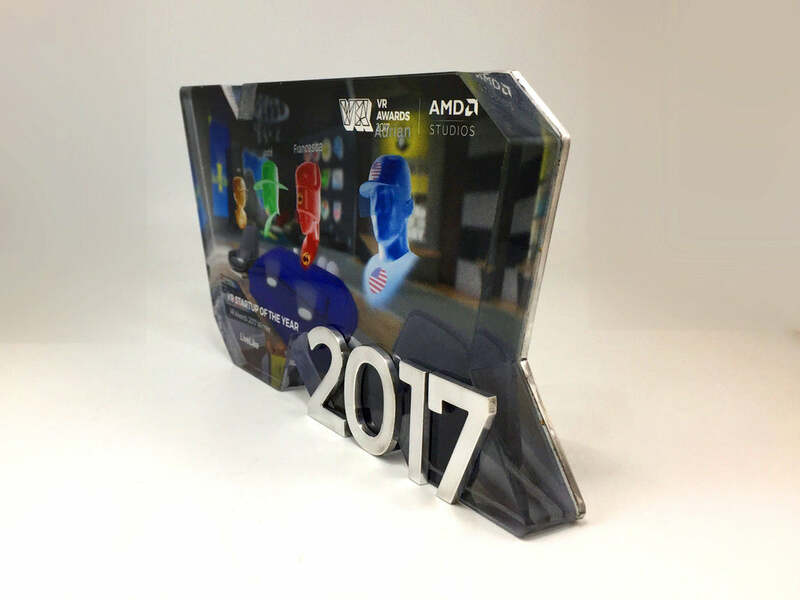 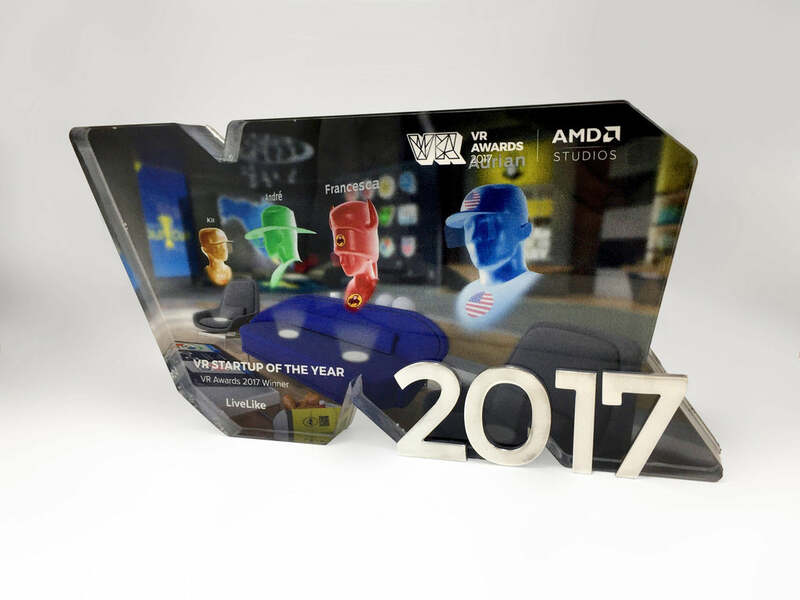 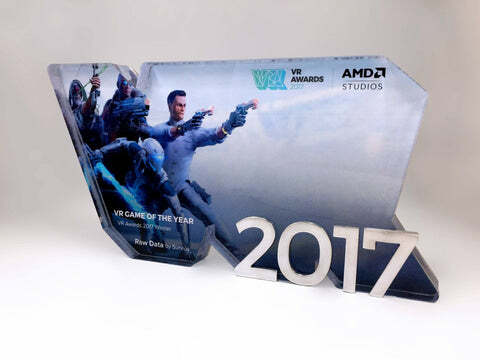 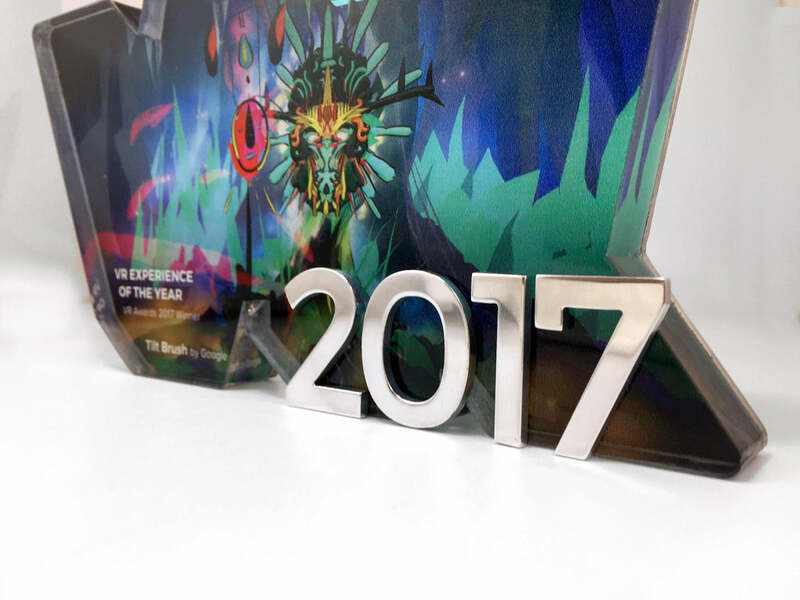 We channel the future of entertainment in our latest award with the VR Bound Acrylic and Aluminium Award. 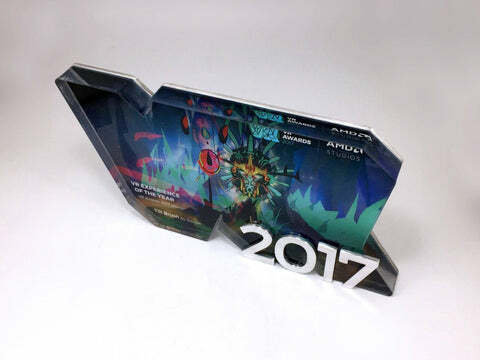 Celebrating artistic, creative and entertaining virtual reality experiences, the contemporary award features acrylic custom cut to the shape of the letters VR. To complement the deep, rich tones of the HD graphics, hand cut numbers are applied creating a contrast in the rich depth of colour of the body and the clean, cool aluminium numbers.